The exposition arranged in Stoyo’s House Ethnographic Museum is a remarkable architecture monument from the second half of the 19th century. It reveals the ethnographic richness of the Radomir region population from the end of the 19th and the 20th centuries. What can you see in Stoyo’s House? 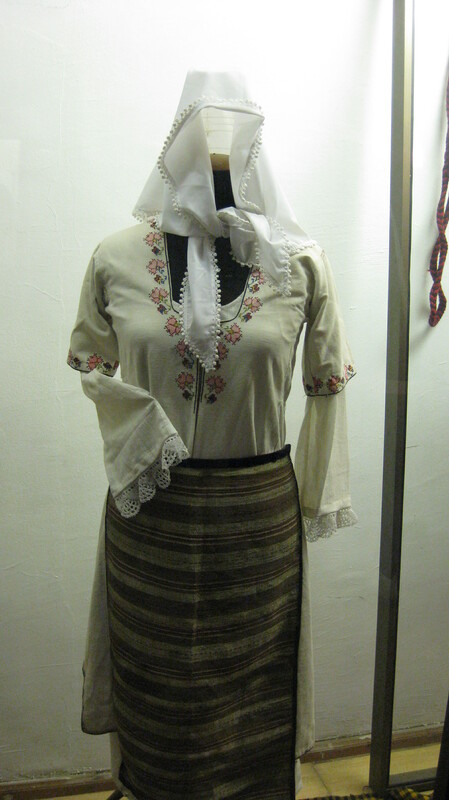 Showcased are valuable examples of the traditional costumes in Radomir, products of the local craftsmen, everyday life objects. The Radomir festive costume is completed by a variety of ornaments – belt buckles, bead-belts, bracelets, rings and earrings, breast ornaments, hairpins, etc. The ornaments and the details of the costumes are very original – the apron, the shirt, the girdle and especially the knitted stockings which complemented the costume with their coloured motifs. The colours of the decorative and artistic fabrics are remarkably colored rugs, bags, cradles, pillows, tablecloths and cloths. In the past they were made in the natural color of the wool and the hemp with variegated linear-strip decoration. A beautiful addition to the textile and the dress is the typical laces knitted or sewn. The artistic sense and the creative imagination of the Radomir women are expressed in the weaving and the combination of colors of the pillows and the ritual cloths. 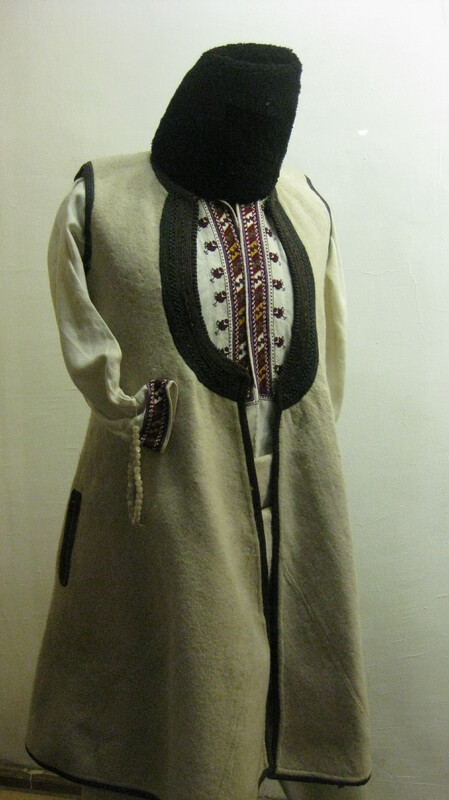 The most typical element of the ancient male dress till the end of the 19th century is so-called dolakatnik – a braided white short-sleeved jacket. The showcased wooden objects from the everyday life also possess high artistic value – the mortars, vessels, spoons, combs, etc. as well as the ceramic vessels – jugs, bowls with handles, etc. We would like to express our gratitude to Mr Pavlov, the museum director, for his contribution and help during the implementation of our project. I think everyone should be proud of their cultural and ethnographic heritage. As a citizen of this little but charming town I am proud that the young people here under the guidance of their teacher mqanaged to present in such an interesting way what is specific and unique for region we live. I think they did a great job! You really did a great job. I’m so proud that my schoolmates are reviving the ethnography in the town of Radomir with their work on the project. I’ll be glad if more people visit the museum and spend more time there. Thank you , friends!